With summer just a few weeks away, there’s no doubt looking good in those outfits is a huge deal. What you eat now is essential to achieving this goal and getting a flawless and radiant skin. Smoothies are a perfect way to get all the necessary natural nutrients and antioxidants for a glowing and ideal look this summer. The super-tasty and delicious blend of selected fruits and vegetables will keep you feeling refreshed all through the day. To make the smoothie preparation easy for use in the mornings, always chop the choice fruits and freeze in a zip-lock bag overnight. Here are 10 easy to make, tasty and effective smoothie recipes that are guaranteed to make you feel refreshed inside, with a more attractive and bright complexion that is sure to give an irresistible appearance ! 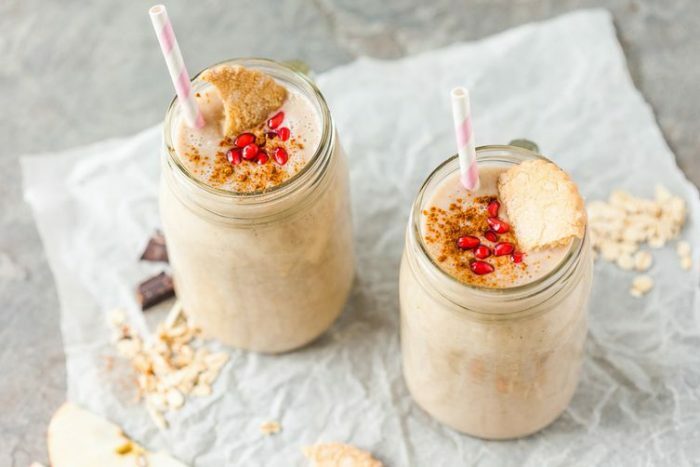 This Sweet, yet very tasty and healthy smoothie keeps your skin glowing and clear all through the warm summer season if consumed as a morning routine. The health and skin benefits from these bursting flavors are evident in no time.